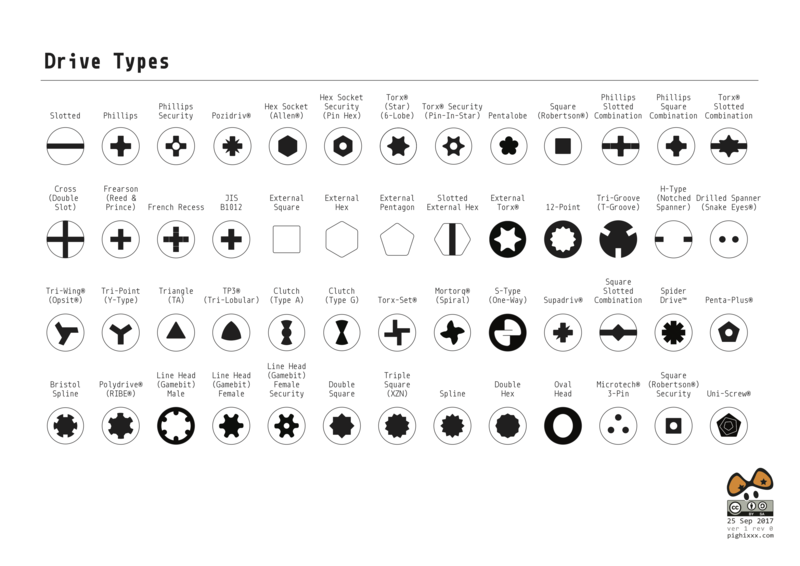 Fastener Reference Cheat Sheets, by @pighixxx | #ManufacturingMonday « Adafruit Industries – Makers, hackers, artists, designers and engineers! From pan flange to button washer, from socket cap to trim screw heads, not to mention threading types and drive head options, every workbench and workshop should have this fastener reference guide by pighixxx on display. It’s usefulness cannot be overstated – it is very useful! We made a a fastener reference guide available in print-ready A4 format. Every week we will publish a new reference table from the guide.